Incarcerated rapper Gucci Mane adds some nutcracker-like trap riffs to his Christmas list with a new 15-track solo effort titled East Atlanta Santa. With a variety of orchestral instruments like the flute, church bells and ghost-like synths making recorded appearances, as well as a track featuring none other than Shawty Lo, East Atlanta Santa is a guided tour through parties in mansions and a diversionary look-back at candyland. 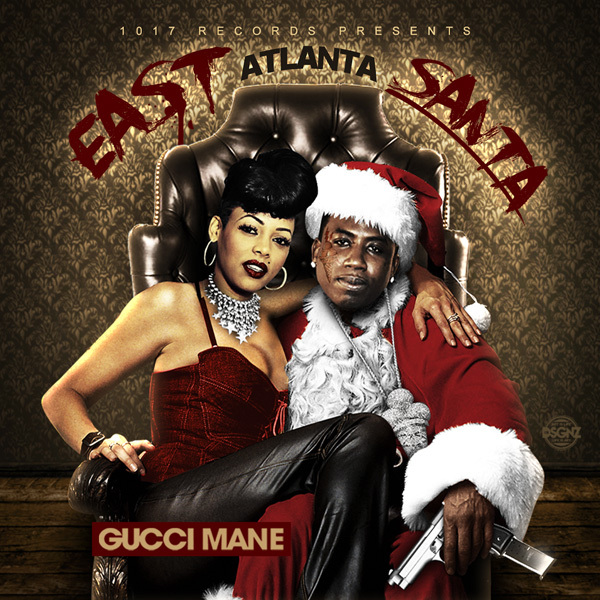 Forever pushing us to question what it means to be normal via his optimistic and naïve perspective, this time be it Santa Claus, East Atlanta Santa is out on 1017 Records. This caged bird is still singing, albeit over waterfalls of phat production by Honorable C Note. Stream Gucci’s East Atlanta Santa album below.